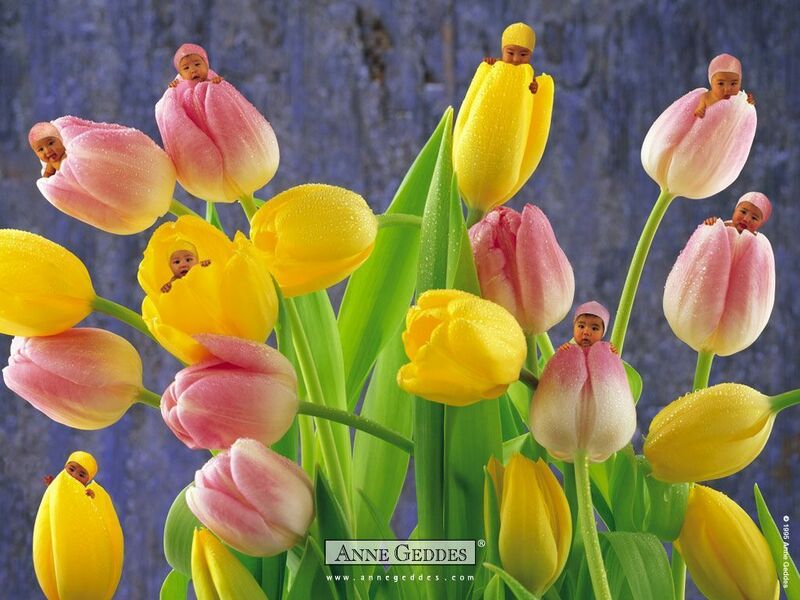 mga sanggol Tulips. . HD Wallpaper and background images in the kalugodlugod na sanggol club tagged: baby love angel sylvie babies anne geddes. This kalugodlugod na sanggol wallpaper contains bigonya, buttercup, butterflower, butter flower, crowfoot, goldcup, kingcup, and butterfly orchid.